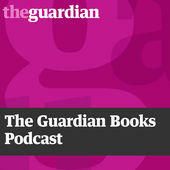 The Guardian Books Podcast: Mosim Hamid: Pakistani author Mohsin Hamid joins Richard in the studio to talk about his latest novel, Exit West. S-Town: Has Anybody Called You? : With a single phone call, Brian Reed's investigation is completely changed. Squirrel Stories: I Liked It: The things we say and the things we do aren't always what they seem. S-Town: A story about a man named John who despises his Alabama town and decides to do something about it. NPR's Up First: The news you need to start your day. The biggest stories and ideas - from politics to pop culture - in ten minutes.